Comfort+ turns sliding friction into rolling friction within the mechanics of the door latch, significantly reducing the efforts required to open and close a vehicle's door. Magna International says it’s developed a door latch that makes it easier to close a vehicle’s door and creates a quieter cabin. An unnamed European automaker will be the first use to the latch. Magna says two key customer satisfaction considerations are the feel of a vehicle’s door when opening and closing and the quietness of the cabin. 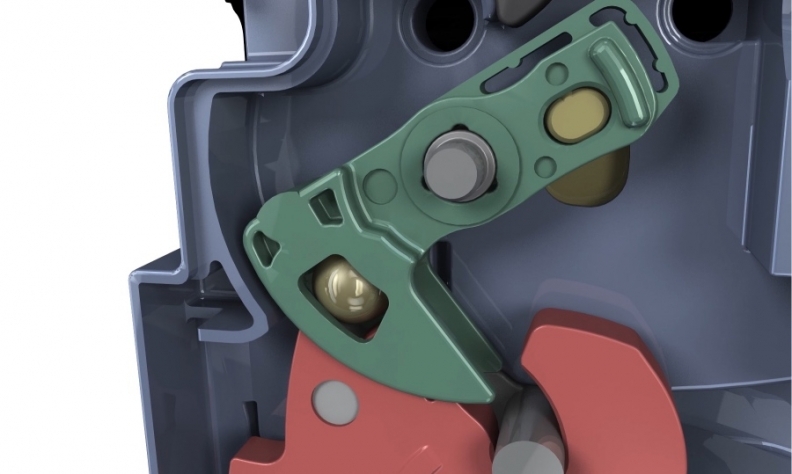 Magna’s Comfort+ door latch addresses both concerns, the Canadian supplier says. Comfort+ turns sliding friction into rolling friction within the mechanics of the door latch, significantly reducing the efforts required to open and close a vehicle’s door. Magna says opening efforts are reduced by an average of 40 to 60 per cent when compared with a traditional latch on the same vehicle. The Comfort+ also increases sealing around the door, which helps create a quieter cabin. According to Magna’s own research, after 100,000 door slams, traditional door latches typically require more effort to open – on average up to 35 per cent more — than when new. After more than one million slams in testing by engineers at Magna, the Comfort+ latch maintained a consistent level of performance. The new latch will be manufactured at one of the supplier’s European facilities.